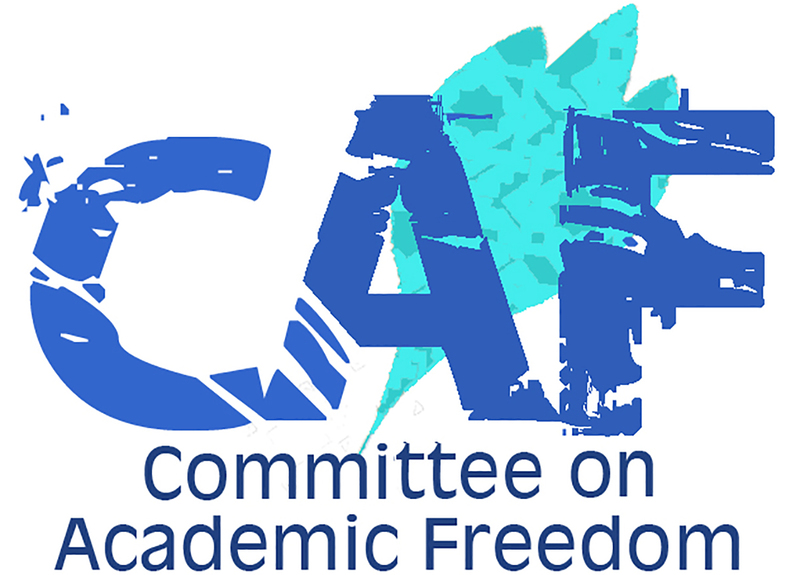 On behalf of the Committee on Academic Freedom of the Middle East Studies Association (MESA) of North America, I write to protest the ongoing arbitrary imprisonment of two scholars, Dr. Abdul Rahman Al Shamiri and Dr. Musa Al Qarni, by the authorities in the Kingdom of Saudi Arabia. We believe that Drs. Al Shamiri and Al Qarni are political prisoners, and we call upon you to arrange for their immediate and unconditional release. Dr. Al Shamiri is a professor of Islamic education. Dr. Al Qarni is a retired lawyer and professor of Islamic jurisprudence. They are both signatories to an open letter published in February 2007 encouraging various political and economic reforms within the framework of constitutional monarchy in Saudi Arabia. The letter stresses the importance of fostering the growth of civil society associations, ensuring a more equitable distribution of wealth and property, and improving the educational system in the Kingdom. It grounds these calls in numerous public statements by HRH King Abdullah in support of the concept of popular participation in governance. State security agents arrested Drs. Al Shamiri and Al Qarni, along with several others, shortly after the letter’s publication. They were subsequently held, frequently in solitary confinement, and sometimes incommunicado, for more than three years before the state filed formal charges against them. On November 28, 2007, the UN Working Group on Arbitrary Detention issued an opinion stating that these men were being “detained without any legal basis in violation of article 9 of the Universal Declaration of Human Rights.” According to Amnesty International, Drs. Al Shamiri and Al Qarni and their colleagues were interrogated many times with no recourse to legal representation. Most alarming is Amnesty International’s report that at least two members of the group were tortured while in detention. One man, whose name was withheld for his protection, says that on at least seven occasions he was badly beaten with an electro-shock baton, metal rods and other weapons. In August 2010, the men in the Shamiri-Qarni group were finally arraigned on charges including conspiracy against the state, incitement against the king, money laundering, and financing of terrorism. On November 22, 2011, 16 of these civil society activists were sentenced to lengthy jail terms. Dr. Al Shamiri received a sentence of ten years’ incarceration, to be followed by a ten-year travel ban. Dr. Al Qarni got a 20-year prison sentence, to be followed by a 20-year travel ban. All sentences began at the time of arrest to account for time served. For several reasons, we are deeply skeptical of the veracity of the charges against these two professors and their colleagues. The allegations of torture cast serious doubt on any and all evidence the state claims to have gathered from interrogations. According to Amnesty International, the state released six men detained as part of the same prosecution before the trial began. These men, Amnesty reports, “were believed to have signed a pledge not to discuss their imprisonment.” Lastly, the original open letter, which we have read closely, says nothing whatsoever about “seizing power” or “breaking allegiance to the ruler,” as the state alleged in court, let alone terrorism. It is a respectful petition for peaceful and gradual political reform. It appears to us, therefore, that Drs. Al Shamiri and Al Qarni and their colleagues were arrested, detained, maltreated, tried, and convicted on false and politically motivated charges. As flawed and objectionable as the state’s case seems to be, their continued incarceration with only the briefest of furloughs seems to us unconscionable—and compels us to write to you now. We are further concerned for Dr. Al Shamiri’s health, as he is diabetic. We urge you to secure the immediate and unconditional release of these two professors and the other civil society activists in jail as part of this prosecution. We echo the recommendation of the UN Working Group on Arbitrary Detention that you press for the Kingdom’s signature and ratification of the International Covenant on Civil and Political Rights, which would prohibit the protracted pre-trial imprisonment without charge to which these men were subjected. We ask that you order a prompt and thorough investigation of the allegations of torture in this and other cases, with an eye toward halting that practice in the Kingdom’s prisons. We appeal, finally, for your assurances that the rights to free expression and peaceable assembly will be respected and upheld by the government in Saudi Arabia.